Upright monuments are structures that have a ‘tablet’ or vertical stone at the top and a ‘base’ at the bottom. 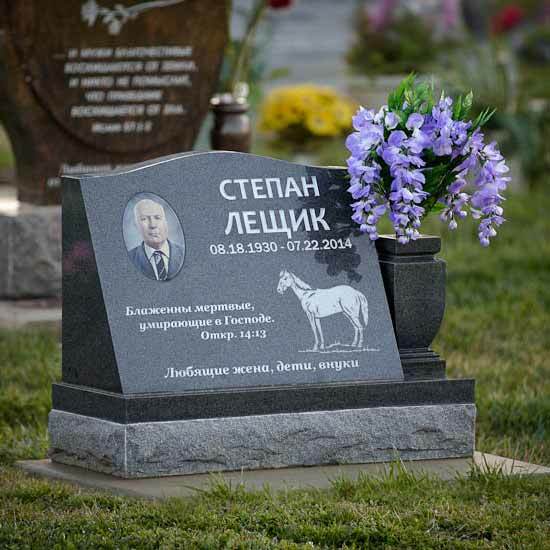 They can vary in size, shape, and style, from traditional monuments to custom designs. Slant monuments are similar to an upright monument, except that they have a wide base that angles up (generally at 45 degrees) to a tapered top. They also very in size, shape, and style. Pillow markers are similar to slant markers, but they have a comparatively less steep angle. The back edge of such a marker is raised two to four inches higher than its front edge. These smaller rectangular grave markers are set low to the ground. Flat memorials may feature different colors, textures, finishes, symbols, shapes, designs, and images. These smaller rectangular grave markers are set flushed with the ground. 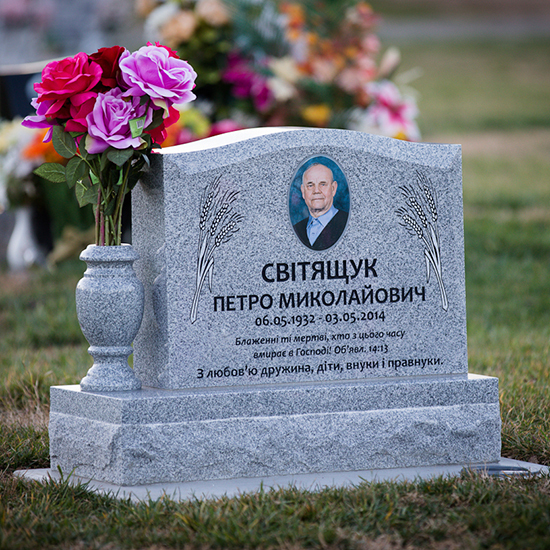 Flat memorials may feature different granite colors, designs, and images. 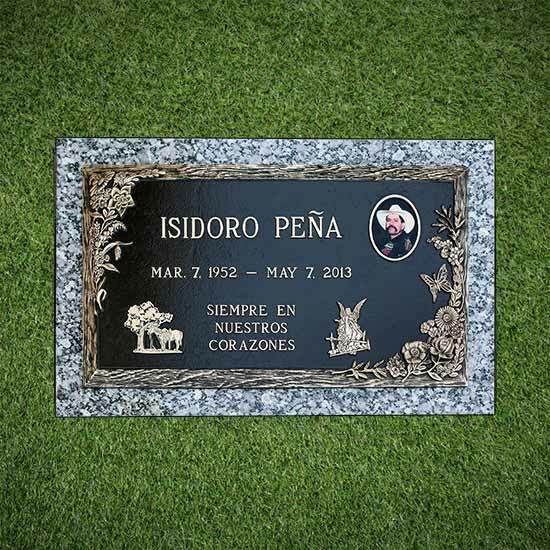 Bronze memorials are rectangular grave markers set flushed with the ground, which may feature different textures, finishes, symbols, designs, and images as well. 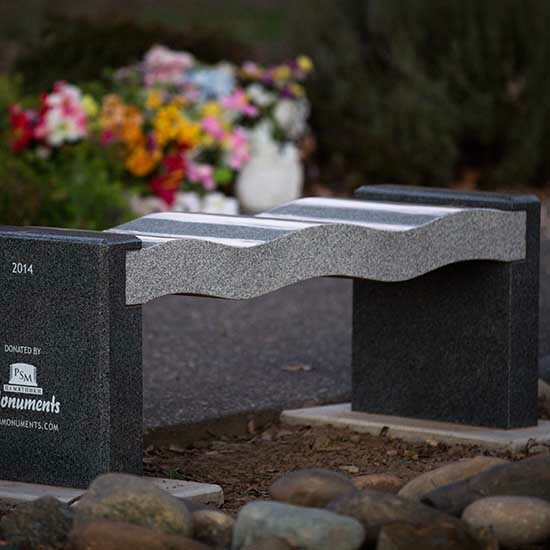 Granite benches offer a beautiful addition to a cemetery grave site. 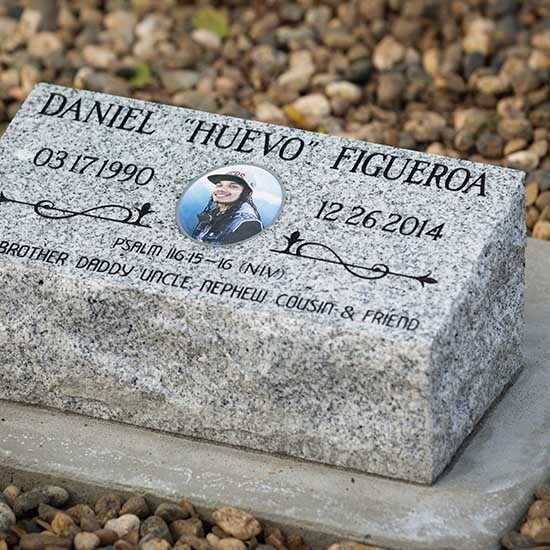 Memorial granite benches are available in a wide variety of designs and colors. Granite benches offer a beautiful addition to a cemetery grave site, backyard garden, or park. 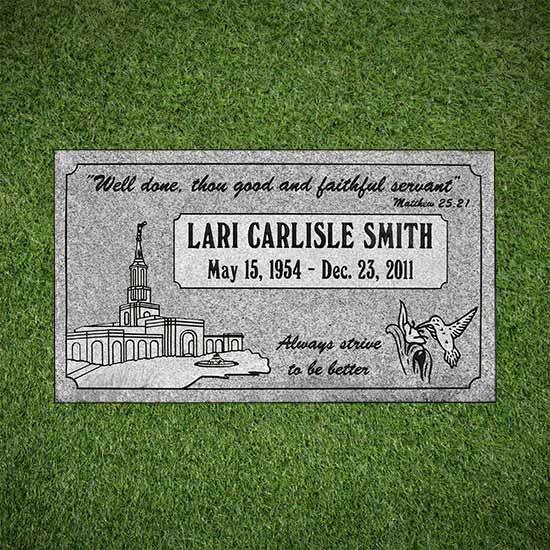 Memorial granite benches are available in a wide variety of styles, designs, and colors. You would like to join to our lovely team?